While it is tough to fathom, many film actors in Hollywood have risen to fame with very-little-to-no-classical training. 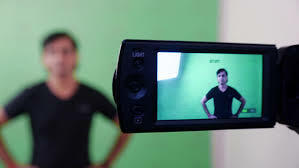 Others, however, put in a ton of time and effort into perfecting their craft prior to doing as much as submitting a self-tape for a feature film or television pilot. And it’s safe to say that the latter paid off, as these award-winning favorites spent some serious time studying various methods while rocking a pair of super fashionable character shoes. Read on to discover how these actors went from stage to screen. 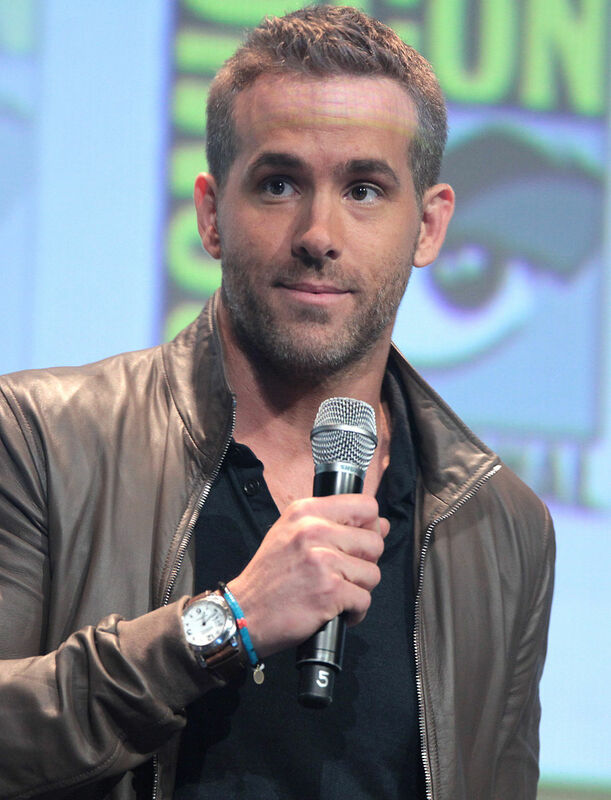 Although he’s originally from the film mecca that is Los Angeles, this Amazing Spider-Man began his career performing far less risky stunts on the stage and even won the Evening Standard’s Milton Shulman Award for Outstanding Newcomer in 2006. Bell landed roles in both The Crucible and The Adventures of Tom Sawyer on Broadway in the early 2000s, long before we ever knew how adorably hilarious she was on the silver screen. She later went on to win an Emmy for ‘Best Actress’ on TV for Veronica Mars. 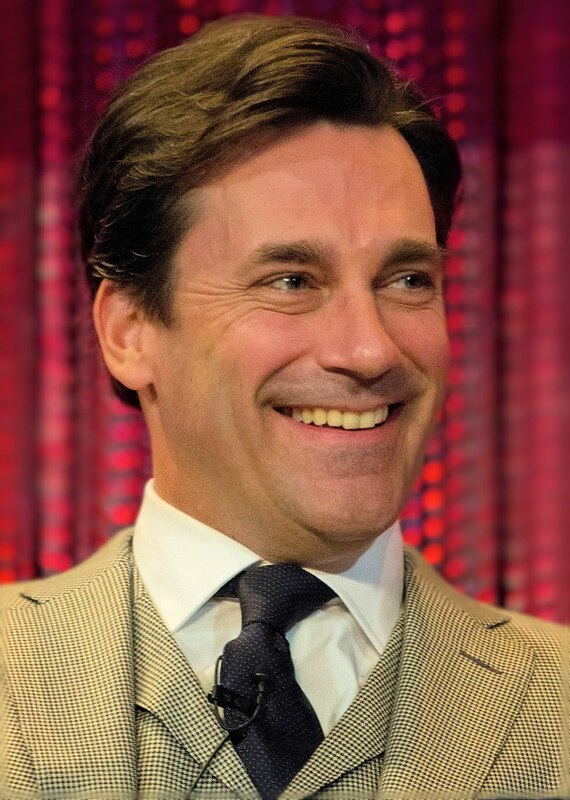 It’s tough to imagine this Mad Man singing his heart out while dancing around on stage, but long before he was Don Draper and earning award after award for that performance, he was giving it all onstage starring in musicals, such as Sondheim’s Assassins, while attending the University of Missouri. Any 30 Rock fan knows Krakowski can belt out any song at pretty much any given moment; after all, her pipes, along with insanely precise comedic timing, is what scored her a SAG award in 2009. But prior to us all falling in love with her as Jenna Maroney (or for us old folks, as ‘Elaine’ on Ally McBeal), Jane snagged a few Tony Award nominations, winning ‘Best Featured Actress in a Musical’ in 2003. Evans sure did win over his entire community starring in countless plays with the Concord Youth Theatre. Watching his sister enjoy stage time and looking for some extra attention led to his love of acting, and he now wins awards for being incredibly talented at pretending to save the world with the hunkiest men in Hollywood. Although he’s heavily rumored to be a vampire, Paul Rudd has somehow managed to withstand the hottest stage lights, starring in major Broadway plays, such as in Twelfth Night as ‘Orsino’. Rudd also starred as ‘Adam’ in Neil LaBute’s play, The Shape of Things, which got turned into a major Hollywood screenplay. 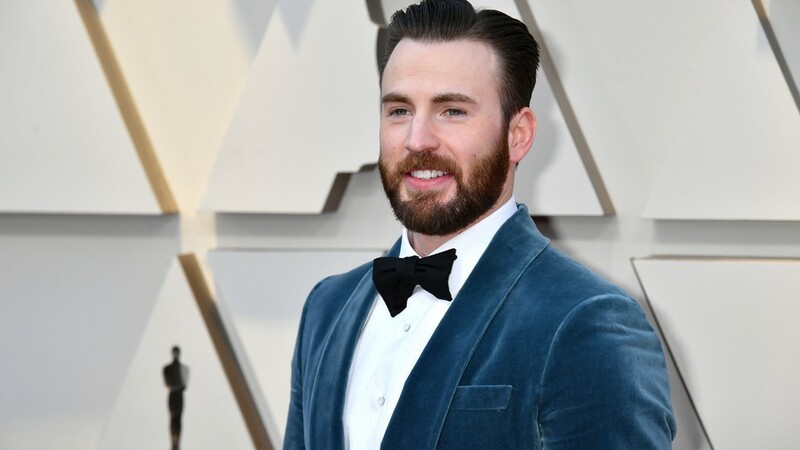 Posted on March 11, 2019 by Girl.Copy and filed under Actors, Celebrities and tagged actors theatre film Paul Rudd Jane Krakowski Kristen Bell Andrew Garfield Spider-Man The Amazing Spider-Man Jon Hamm Mad Men Chris Evans Marvel Avengers. Sometimes when you leave an audition, you practically float out the door knowing you’ve totally, unequivocally nailed it. Unfortunately, this was not one of those times. You blew it. Objectively, you know that bad auditions happen all the time to actors of all levels of talent and experience - heck, Peter Jackson even called Jake Gyllenhaal “the worst actor I have ever seen” after a brutally bad read for Frodo Baggins in Lord of the Rings. As universal as failure is, it’s still tough not to get bogged down when you swing and miss. Feeling like you should just throw in the towel and never show your face at a casting call again? Try these three things instead to get back on track. First, you have permission to be gentle with yourself. It’s normal to be bummed out about a missed opportunity. If you need to take some time to nurse your wounds, there’s no shame in drawing a hot bath, slapping on a face mask, polishing off a carton of ice cream, Postmating a second carton of ice cream... well, you get the idea. Who are the people you can count on to love you unconditionally and let you vent for a minute? Call your mom, text your best friend, ask your partner for an extra-long hug. Sometimes a little attention and empathy are the best balms for the sting of rejection. You came, you saw, you didn’t conquer, you cried a little. Now’s your chance to take this tough experience and use it as fuel to grow as an actor. After you’ve had some time to decompress and the pang of disappointment isn’t quite as sharp anymore, you’ll have some more clarity and can take a thoughtful look back on what went wrong. Once you pinpoint where things went awry, you can avoid repeating the same mistakes in the future. Did you keep the auditors waiting because of car troubles? Download a ride app and grab a copy of the local bus schedule to keep on your person just in case! Stumbled over your script? Check out Google and YouTube for some cold read memorization tips. Keep catching yourself fidgeting? Record yourself on your phone while you prepare and watch over for nervous tics, then practice moving more comfortably and carefully. Think of every rough audition as a learning experience that gives you new tools to hone your craft and soon you’ll be on your way to your next great role! Not literally, obviously; it doesn’t have to be an audition for a Western (but if you hear the Coen brothers have anything new in the works, let me know). No, the final and most important step of recovering from a bad audition is putting yourself back out there. If Jake Gyllenhaal could do it, you can, too! You’ve given yourself some time to wallow, you’ve reviewed what went wrong, and you’ve made some concrete changes in your prep and planning. It’s time to let those newly-polished skills shine - you’ve totally got this. Posted on March 4, 2019 by Girl.Copy and filed under Audition, Actors and tagged actors on acting actors audition how to audition how to book the audition bad audition. Photo courtesy of Jalen Harris’s Facebook. You’ve probably heard of the expression, “Like attracts like” - nowhere else is that more true than at Studio 27. We have a high-caliber roster of coaches and talent - Jalen Harris being one of those talents. He is truly a star on the rise, having worked in the Broadway national touring production of The Lion King playing Simba, is a singer and model, and has graced your TV sets in shows like Grey’s Anatomy and - spoiler alert - was a contestant on American Idol. Jalen sat down to chat with Studio 27 on his life in the spotlight - read on. S27: Hi Jalen! Thank you for speaking with us today! Tell us about your career: how did you get started in the music and acting industries? JH: First, it’s an honor to share with you some of my journey throughout my life as an entertainer. I grew up in a musically-inclined-and-church-involved family in Memphis, TN. I performed my first solo in church at age 4, where my grandfather was the pastor and founder. From that moment on, I knew in my spirit that being on a stage was where I felt safe but also purposed. Performing in many talent shows, town fairs, church plays, and sporting events as a kid, my parents helped cultivate my musical talents, which eventually led me to be a contestant on American Idol Season 10 at age 15. At age 17, I met an angel. Her name was Cheryl Harris. Upon meeting her, and working with her on a few projects, she later became my manager, introduced me to different agents in the business, and the rest is history. Since training and developing my acting skills with her, I’ve appeared in different TV and film projects, and most recently as Simba in Disney’s The Lion King Broadway tour. S27: That’s phenomenal - you’re a busy guy! What has been your favorite acting role to date? JH: Definitely playing Simba. Not only is The Lion King the greatest show in the world in every way imaginable, it also taught me that I was much more capable of doing things I never knew I could [be capable of]. It is my favorite, because I grew up always wanting to be a superhero. Simba is a role where the actor sings, dances, and performs stage combat and various stunt work. Thus, singing every night on stage and avenging my father “Mufasa” from my evil uncle “Scar” was the perfect combo! S27: Okay, dish the deets - what was the most dramatic moment you had while performing with The Lion King on Broadway? JH: The moment that changed me as a performer due to the intensity of live theater, was my first performance as Simba. I had only rehearsed for 2 weeks, and had been anticipating the next 2 weeks to complete my training for the role. So without a dress rehearsal, or experience doing the show as Simba yet, a stage manager told me after the opening number, “Jalen, you have to go on now. This is not a test”. So the team and crew rushed me to the basement, where I would have to be put into makeup and wardrobe, in time for “Hakuna Matata,” Simba’s first appearance. When I was ready to go to my cue, I waited in the wing, with the entire cast a crew cheering me on, swung out, and began singing, “It means no worriessss……” I’ll never forget that time. I felt so much love and support from my show family. S27: Outside of The Lion King, what was your favorite performance to date? JH: My favorite performance to date was singing the National Anthem for the NCAA Football Championship Sugar Bowl at the Mercedes Benz Superdome in New Orleans, LA. With 60,000 fans watching, and my parents being somewhere in the crowd, I was so proud to open such an incredible event, televised for the nation. S27: What are some of your biggest musical influences? JH: Musically, some of my biggest influences include artists from about every genre! [laughs] But most notably, I am most influenced by the styles of Prince, Whitney [Houston], Brandy, and of course, Michael Jackson. But also artists like Chris Brown, Enrique Iglesias, Justin Timberlake, and Beyonce [are musical influences]. S27: Tell us about your new album - what inspired you to write it? JH: I am so excited about my new album and collection of songs that will soon be available for everyone to enjoy! Honestly, my life experiences are the true source of depth in what inspires my writing. Whether it’s from memories in my childhood, experiences my siblings or friends have had, or even my own first-hand circumstances, I find that being genuine with my pen and being vulnerable in the music is the best way for me to connect to the listener. S27: Plug time! Tell us what you have coming up next. JH: Coming up next from Jalen: Music, music, and more music! I am honestly so grateful for my dream team of management, production, and agents. They work tirelessly everyday for me. You will be seeing me in other projects as well like feature films, television series, and maybe a magazine or two. But I am mostly excited to release my new music and performing live bi-coastally with my band! We’re excited as well, and can’t wait to see what the future holds for this superstar! Posted on February 15, 2019 by Girl.Copy and filed under Actors, Celebrities, Interviews and tagged interview Jalen Harris actors on acting singers on singing singer actor film TV Broadway The Lion King Broadway actor How to be an actor. As working adult actors, we have all been through the wringer at one point or another: we got a flat tire on the way to an audition; we overbooked ourselves; we shook the auditors’ hands in the audition room, even though we KNOW it’s an industry faux pas. There are a myriad of ways we can ruin our careers - or at least, that’s how it can often seem. But as actors, we are also prone to - ahem - theatrics. 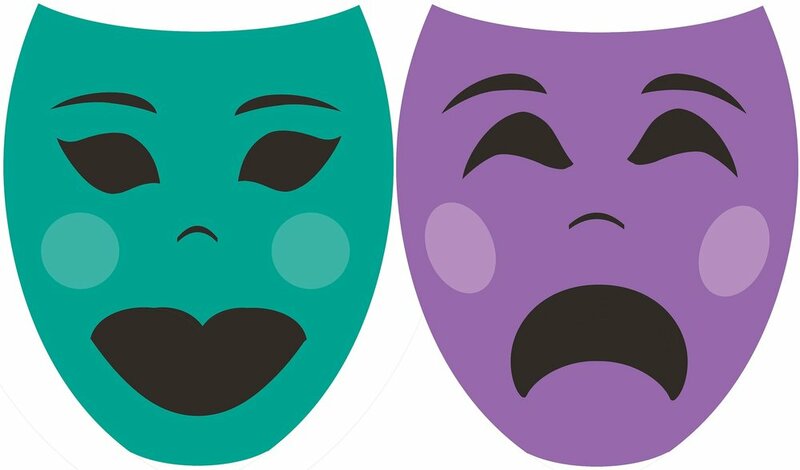 None of the above examples will ruin your career, per se, but it can make for a stressful day, which no actors wants, especially when he/she is in the middle of auditioning! And if you live in a bigger city like LA or New York, you may have multiple auditions in a day. The following ‘life hacks’ will make your audition process smoother and more fruitful - no matter where you end up. Keep an “Emergency Actors’ Kit” in your car - this can be a makeup bag or pencil pouch filled with the essentials: a toothbrush, toothpaste, floss, mouthwash, makeup, lipstick, mints, a token that reminds you why you’re living this insane life; whatever you think will help you nail the next audition! If you don’t have a car, keep it in your purse or “audition bag” - it helps to also pack a change of clothes for the next audition or gig. You knew this one was coming: always keep at least 10 headshots with your actor’s resume stapled to the back in your car or audition bag. You never know who you’re going to run into, or how many you’ll need for an audition. These days, most auditions have gone digital and won’t ask for a headshot/resume (because they’ll already have your info on their tablets or computers! ), but it never hurts to be over prepared. Have a go-to monologue or scene? Bring those lines with you! You never know when you’ll need to quickly review it for an audition. It happens more often in theatre, but often, auditors will ask you if you’ve prepared anything else - and you want to be ready. Make sure you bring a notepad or tablet with you wherever you go - you also never know when you’ll need to take notes! Your phone works, but if your day turns into a more intensive note-taking session, you’ll wish you had more room to write. What are your #actorslifehacks? Let us know in the comments! Posted on February 5, 2019 by Girl.Copy and filed under Actors and tagged life hacks actors actors on acting LA Los Angeles Atlanta New York NYC. Do You Need a Talent Manager? 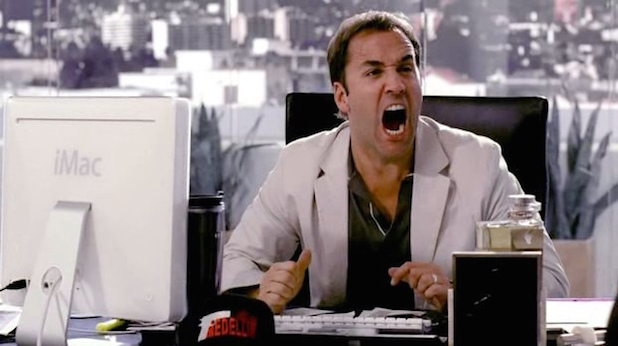 Definitely not a talent manager - Jeremy Piven in Entourage. Hi, I’m Anna, and I have a talent manager. I am an actor, writer, and producer. I am not SAG. The scripts I get paid to write are internal corporate video scripts for Delta or spec scripts for UNIQLO and private clients. I have two agents as well - one in Los Angeles, one in Atlanta. If you’re a seasoned actor reading this, you probably think I’m nuts, and you probably wouldn’t be wrong! Read on to find out why I like (and dislike) having both (both is good), and read this Backstage.com article for a second opinion! When I first moved to Los Angeles, I thought I needed all the representation that I could get. I had gotten a list of agent and manager names and email addresses from a friend in the industry who had already been living and acting in LA for quite a while, and I reached out to all of those names on that list. I had done one independent feature film as the female lead, and had a few other short films under my belt. But film-industry-wise, I hadn’t done a whole lot. I had a theatre background, which to reps in LA means I take acting seriously - but it doesn’t necessarily mean I’m any good at acting for film. I think that out of the list of 20+ names, I got 3 - 4 meetings. And from those meetings, I got my management company. When I signed with my manager, I truly felt like I had made it. But having a manager, especially one like mine who also submits you for roles on LA Casting and the other casting networks, is somewhat of a fine art. I’m Facebook friends with my manager, and I’ve taken coffee meetings with him a couple of times - but he’s a busy guy with a lengthy roster, and now that I live in Atlanta, he can’t really submit me for roles down here, unless they’re casting out of LA, and I work as a local hire in Atlanta. The A is out of his network. My management team takes 15 - 20% out of any job that I book through them - that adds up to a lot of moola! And then, if my agent jumps in to send a few emails and help me out with negotiations, I have to pay her ANOTHER 15 - 20%. All told, my paycheck could only end up being 60% of what it was originally quoted, especially if the project rate isn’t less agency fee, meaning that the studio would pay the agents separately. So, you tell me - is having a manager worth it? I think signing on with a management company is an individual decision. I like my team, and I know they like me. I like having double the options for auditions - if my agent misses something, my management team may pick up on it. I don’t like having a smaller paycheck, but I primarily now work as a writer versus an actor, so the point is somewhat moot. But I’ll leave you with this: if you are not a celebrity, and there’s nothing to really manage, why hire a management team? Tell us your thoughts in the comments! Posted on October 21, 2018 by Girl.Copy and filed under Actors, Managers, Celebrities and tagged management manager agent Los Angeles LA Atlanta ATL actors actress acting networking Casting Networks. Also known as the Big Fish From a Small Pond, this person is trying EVERYTHING IN THEIR POWER to book the part. They typically come from a smaller market and are trying to make it in the big city - which is really what we’re ALL trying to do, but the Eager Beaver thinks that this fact makes THEM unique. They are either overly friendly with you, sizing you up as competition, or overtly cold…also because they’re sizing you up as competition. Hot tip: even if the Eager Beaver is rude to you, don’t be rude back! I guarantee you the auditors are watching, even if you don’t think that they are. In the words of the cult classic Mean Girls, “She doesn’t even go here!” - as in, sometimes non-actors will show up for auditions that are very tall and very, very attractive. These are models who are trying to broaden their resumes and maybe break into acting. Some models actually DO have pretty good acting chops, but some are just there to, for lack of a better term, diversify their portfolio. Basically, they’re your really, really ridiculously-good-looking competition. The “newbie” is the actor that’s just starting out, natch. They’re probably pretty nervous, and looking for advice - which means that if you sit next to them, you’re gonna be sitting next to a real Chatty Cathy, more than likely. Again, niceness is always the best policy in my book - not only do you never know who’s watching, you also never know who’s gonna make it in the “biz.” Give advice as much as you can, but also, focus on your character portrayal and lines. You do you, boo! Posted on October 12, 2018 by Girl.Copy and filed under Actors and tagged actor commercial theatre film type. I first worked with longtime working actor (and my own personal favorite celebrity!) 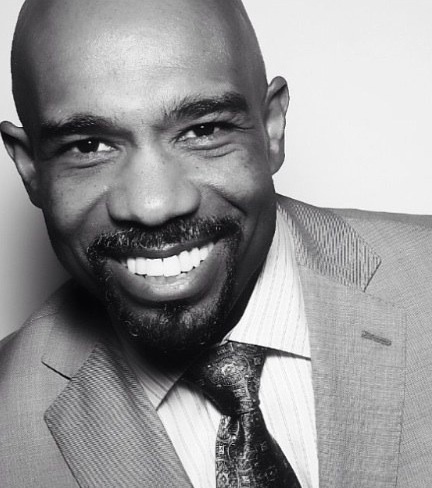 Michael Beach on the set of a small independent feature called Scrapper. Scrapper was my first foray with Grinning Man Media Group’s Ed Dougherty, and my first time working with real, professional actors. By “real,” I mean actors that are consistently working, like Beach and Game of Thrones star Aidan Gillen. Beach has been around the block several times in terms of work - notable roles (besides films with moi in it!) include: Soul Food, Waiting to Exhale, Aquaman, Dynasty, Sons of Anarchy, The 100, Crisis, Third Watch, and countless others. Studio27 Talent recently sat down with beach to discuss training, what makes an actor successful, and what he’s learned since graduating from Juilliard. Posted on October 5, 2018 by Girl.Copy and filed under Actors, Interviews, Celebrities and tagged Juilliard Michael Beach GMMG Films Aidan Gillen Game of Thrones actor actors acting acting career back to basics Studio27 Talent Tyrone GA Atlanta Los Angeles film theatre. We have talked about branding yourself as an actor quite a bit on this blog, and there’s a reason for it: times have changed. Gone (mostly) are the days when actors simply audition for a role and get cast. While that may still be the case in the theatrical world, in the entertainment industry, casting directors are looking more and more closely at an actor’s social presence - meaning, they’re literally Facebook-stalking you. Okay, yes, you are a brand, and you are “selling yourself” as an actor - but that doesn’t make you a sell out. Figure out what your niche is and your brand, and clearly define yourself as such. Do you play a lot of “mom” roles? Are you a hipster? A jock? Whatever it is, make sure your website, headshots, and reel reflect your ability to carry those roles. Now, if you typically play a jock, but you’re a real-life bookworm - all the better! Casting directors are looking for unique takes on characters - and who doesn’t love a classic, all-American-good-looking-jock-who-turns-out-to-be-a-smarty-pants love story? I know I do - I watched Sierra Burgess is a Loser and To All the Boys I Loved Before (both on Netflix) in a weekend! Look, I get it - we all secretly or not-so-secretly hate social media, but as an actor, it’s pretty much a necessity nowadays. Again, it doesn’t mean you have to lose sight of who you are! Limit yourself to only 30 minutes of social media daily, if you have to - it’ll likely improve your mental health, too, to place restrictions on your usage. Go through your friends posts, like them, comment on them, do “organic outreach” - you know, the usual. And here’s a little secret: everyone buys Instagram followers these days, even those famous Jenner girls (don’t believe me? I’ve got a timeshare to sell you!). There are affordable options to buying followers, and there’s nothing illegal about it. You can also hire freelance social media managers to manage your actors’ accounts, so you don’t even have to bother with it, other than providing photos and approving posts. Figure out what you have the budget to do, and go for it! It seems like a ridiculous suggestion but being likable feeds into being memorable, and it goes a long way in this industry. You won’t be rewarded for having an ego when you’re starting at the bottom; plus, it’s just good life practice to not step on people on your way to the top. You never know who’s going to get to the rich and famous part of the gig before you do! What are some ways you’ve learned to brand yourself? Let us know in the comments! Posted on September 23, 2018 by Girl.Copy and filed under Branding, Atlanta, Actors, Investment and tagged branding actor actress talent film filmmaking industry entertainment Kylie Jenner Kendall Jenner Keeping Up With the Kardashians Kim Kardashian Khloe Kardashian Kourtney Kardashian Kris Jenner Caitlyn Jenner KUWTK reality TV followers Instagram Facebook Twitter SnapChat Pinterest social media social media marketing social media presence. One of the most discouraging Hollywood tropes is that you have to know someone to get somewhere. As you grow and develop your skills as an actor, you will likely often hear the phrase, "It's all about who you know," or hear that dreaded yet necessary-in-this-industry word: "networking." What that phrase and that word means is that you have to put yourself out there - and no matter how many classes or workshops you take or networking events you attend, you may not advance in your acting career. Sometimes, it really is all about who you know. That's not to say it's impossible to make it in this industry as a "nobody" - quite the opposite, in fact! Don't believe us? Read on to discover this list of celebs that came from nothing to join the A-list (or, close to A-list) ranks in Hollywood. Before this Gossip Girl made it big with the hit CW show in 2007, she was dealing with the least ideal circumstances - Meester was actually born in a hospital in Texas, with her mother going to jail shortly thereafter. As a newborn, she was allowed to spend 12 weeks in a halfway house with her mother before moving in with her grandmother in Florida until her mother was released 16 months later. Now, the star is worth an estimated $5 million. Oprah - yes, the Oprah - was raised by her grandmother in middle-of-nowhere Mississippi. Born into poverty, Winfrey had a pretty hard life, losing a baby at the age of 14. Once she was sent to live with her dad in Tennessee, she started working in news journalism at age 19, and went on to be fired from her first reporting job at 23. But that led to her having her first talk show, and today, Winfrey is worth $2.8 billion. Parker was the youngest of four kids, until her parents divorced, and her mother remarried, subsequently having four more kids. Parker was born in Ohio in a "coal-mining town" and grew up poor, her mother being a housewife and her stepfather being a truck driver. However, Parker landed her first Broadway role at age 11, and got her first TV role at age 16 in "Square Pegs". Now, Parker is worth $100 million. DiCaprio didn't always live the life of glamour and fame that we know he lives today, what with the pap shots of him partying with supermodels on yachts; no, DiCaprio actually grew up pretty disadvantaged. He grew up in a very poor, rundown Los Angeles neighborhood, where drugs and prostitution ran rampant - in fact, the actor claims that seeing what drugs did to people made him never touch them as he grew up. He was also bullied in public school, but had a strong mother who supported his dreams and put him in acting classes - the rest is history. 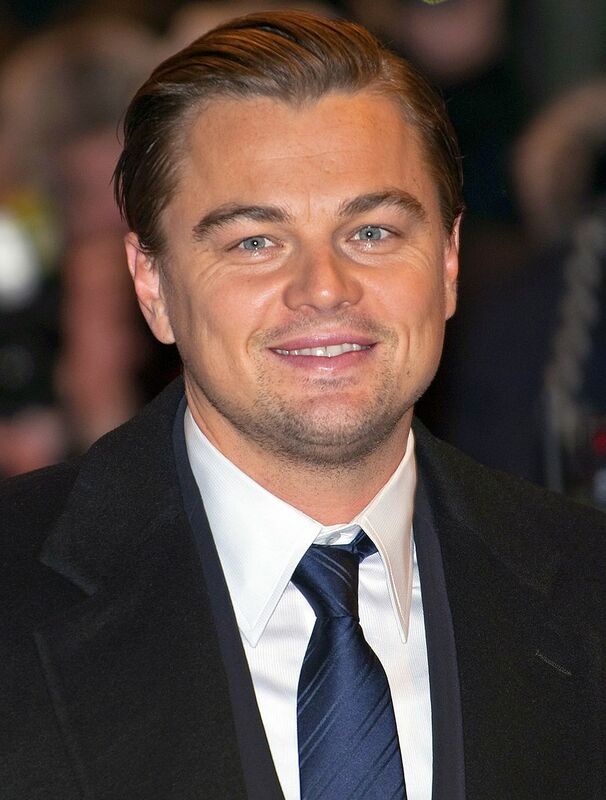 DiCaprio is now worth $245 million. This woman has done it all: fashion, perfume, clothing, singing, acting, dancing, and so much more. Lopez's looks defy time, and so does her seemingly endless energy. With the singer/actress now worth an estimated $380 million dollars, it's hard to be envious when you know her backstory. Lopez had it tough in the beginning, having disagreements with her mother about her career path (Lopez chose a career as a dancer over going to college), and became homeless at 18, sleeping on a coat in a dance studio. A year later, she got her first major job, but she didn't get her first big break until she was 28 years old, landing the titular role in the major motion picture Selena in 1997. Sometimes, all it takes is hearing about the thespians, singers, models, and stars that came before you to encourage you to keep on keepin' on with your dreams! Which celeb has your favorite rags-to-riches tale? Let us know in the comments! Posted on August 19, 2018 by Girl.Copy and filed under Actors, Networking and tagged networking actors Hollywood LA Los Angeles Florida Oprah Leighton Meester Gossip Girl J.Lo Leonardo DiCaprio Jennifer Lopez Latina dancer model.